Home » Finance » What is blockchain technology? Since the invention of the internet, digital information has been sent, received and documented. Today, sending an email to the other side of the world is instantaneous and easy. What would you say if money transactions or any other digital data could be sent the same way? This is exactly why the blockchain technology has been invented! Blockchain was created to serve as an open ledger that holds digital information. It was invented by Satoshi Nakamoto. This was the name of the person or multiple people who started the system and earned the very first Bitcoin. With this technology, people can store information in an open and decentralized system. Since its creation, there have been various new uses for it. For example, people can store information about a transaction, contract or virtually any digital data. Bitcoin is also not the only cryptocurrency that uses the blockchain technology. Many copy-cat digital currencies have emerged, such as Ethereum, Litecoin, Stellar Lumens and many others. If you want to see the top 10 cryptocurrencies of 2017, check out this article! I know why you’re here, to find out exactly what the blockchain technology is and how it works. So let’s not waste any time and jump straight in! The blockchain technology is a peer-to-peer distributed open ledger that holds digital information. Basically, it is a chain of information that is distributed between all members of the network. The information is contained in blocks. Each time data is recorded with this system, a new block is added to the blockchain. A block holds the digital data or information and a link to the previous block that it’s connected to. Each block in a blockchain is linked to the block before and after it. This results in a system where everybody can see all of the transactions that have happened since the start of the network. The ledger is stored on all of the computers that are part of the network at the same time. Meaning that the ledger is available on many different computers around the world simultaneously, rather than one central location. Anybody can become a part of the system. They only need a copy of the blockchain and the software that goes with it. If you would rather invest instead of maintaining a blockchain, try Optioment. This is the best Bitcoin investment fund available. Click here and get started! 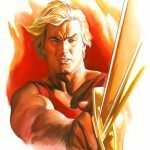 As everybody has a copy of the ledger, there needs to be a synchronization process that validates one of the ledger versions. If someone tries to add a new block, it will only be accepted if the majority of the other nodes that are in the network accept it. They solve a mathematical puzzle in order to make a decision. They look for a random key with which they can add the block to the blockchain and validate it. This is how cryptocurrencies are generated. As a reward for successfully validating the new block and adding it to the system. The first completed result is sent out to all of the connected nodes and they update the ledger to that version. If the majority agrees on the result, the changes will be finalized and the new block will be added. This is also when the reward (Bitcoin or other cryptocurrencies, you name it) is awarded. 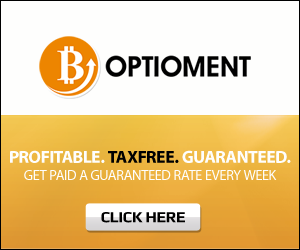 Determine how profitable Optioment, the Bitcoin investment fund can get. This profitability calculator should help! The maintainers of the ledger (miners) constantly update the ledger with the new information. High computing power and a lot of electricity is necessary for the mathematical puzzle (key) to be solved. What is blockchain technology trying to solve? The main thing that the blockchain technology is trying to solve is money transfers. Today, if someone wants to send money to another person, a trusted third party is involved. These are usually banks where we keep our money. Not only that the transaction will be only finished in a couple of days, but there are also fees that need to be paid. The fees are the banks essentially taking a portion for their services (sending the money to the recipient). There’s also a human element which can be a flaw. Many banks do not work on holidays and weekends, which can cause the finalization of the transaction to take even longer. With the blockchain technology, there is no third party involved in the transactions. The money goes straight from point A to point B, if the transaction is validated. This means that there is no need to pay a third party and more money can be saved. Not only that the fees are a lot smaller, but the transaction time is also very fast. Blockchain can also be used for various other things too. It could help small business owners validate their products, for example. Anybody who is interested in the product could take a look at the block and see all the necessary information. They would see where the product came from, how it was made and any other data that is added. The blockchain technology is also a great way to store deeds or contracts, as it’s hard to make changes to an already existing block. This means that if you sell a house for $10,000, the price cannot be later changed in the contract to $5,000 by the buyer. Everybody can see the information that is stored in the block, but nobody can make changes to it. At least not in a simple and effective way. Click here and read about 30 additional uses for the blockchain technology! This system could simplify a lot of things in our lives and this is exactly why it’s important to know about it. Unfortunately, still many people are not familiar with what a cryptocurrency is or how it’s earned. If you want to educate yourself further, check out some of the pros and cons of Bitcoin. Since the ledger is distributed all over the world, on many different computers, it is actually very safe. What a distributed open ledger means is that in order for it to completely disappear, all of the copies must be destroyed at the same time. As long as there is one node or a copy, it can be sent to all of the other nodes as soon as they are online. As cyber-crime is a very real threat, one must ask if the blockchain technology is safe from it. In reality, it is, very much so. Hackers could potentially hack the system, but they would have to hack numerous nodes (mining computers) at the same time. We are talking about hundreds of thousands of computers, since the majority has to agree on the change. This would be nearly impossible, so the blockchain technology is quite safe from hackers. We tried to make understanding the blockchain technology easy. Even though this is not a simple concept, hopefully this article helped you understand it a little better. There’s a lot of potential to this network. Money transactions could be made simple and third parties would not be necessary. This means a lot of time and money saved. If the blockchain technology sparked your interest, you might be thinking about investing into Bitcoin. If you are, check out what Bitley’s, the Bitcoin investment fund is offering! The blockchain technology is also considered to be a safe system. It’s all because of its decentralized and transparent nature. There is no one party holding all of the data and keeping it a secret. All of the transactions can be viewed and checked and the records are public. We hope that the series of articles that we have done on cryptocurrencies helps understand them a little bit better. Who knows, you might start investing and earning money through cryptocurrencies after hearing about it from us!